A light dinner will be provided for the registration fee. The webinar will start promptly at 6pm, preceded by a half hour for socializing, networking, and food. Come early to meet your fellow TriUPAers and talk shop! To the delight of UX designers everywhere, organizations today increasingly conduct user-centered research methods like surveys, focus groups, and usability testing. But what can we learn beyond the office environment? Isn't user observation among the most powerful UX design research techniques we can do? Yes! 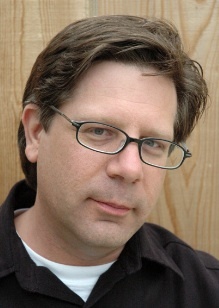 So Steve Portigal will describe the techniques, processes, and discussion points you can use to make it happen in your organization. And once you find out how to quell cultural or budgetary resistance to fieldwork, then you can create more analytical designs that make users jump for joy. You'll gain user insight before you need it. Conduct specialized interviews beyond just "talking to people"
You'll become a change agent in your organization. You'll start to establish research agendas from the get-go. You'll make your process and outputs more visible. Empower your organization to embrace field research, and you'll be create stronger UX designs. So register for Steve's seminar today!